Follow the adventures of Pooks and Boots as they survive in the wilderness and eventually find a warm home where they meet Jesus! 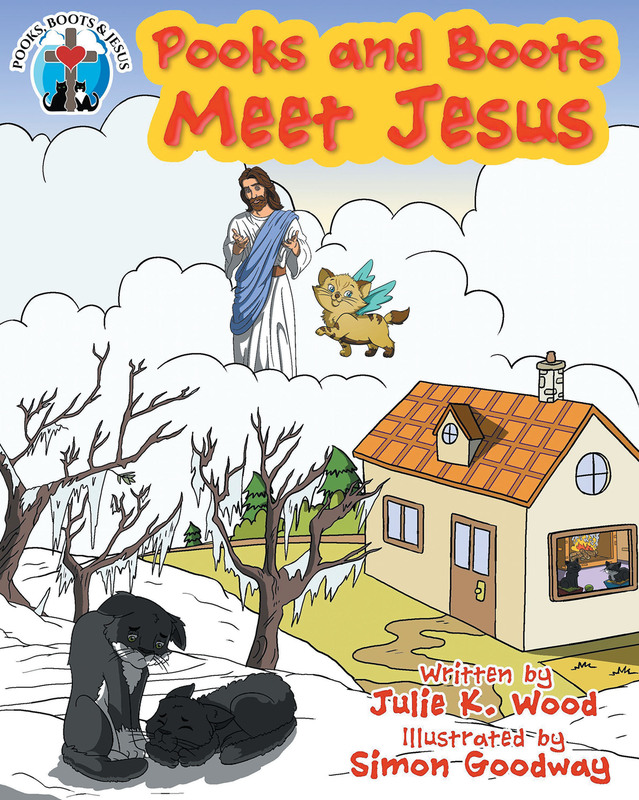 This book is a unique and fun way to introduce the powerful word of God to children around the world. This book can enter the homes of all and allow parents and children to learn together, knowing that it is based on the true Word of God. It will teach children that Jesus is the biggest and most powerful superhero, and He lives within us if we believe in Him. Bible verses will be placed at the beginning of each book to help establish the basis for the adventurous story to follow. Many books are available with cute animal characters, but this book series is different. The Pooks, Boots, and Jesus books are based on real-life adorable cats, Pooks and Boots. They once lived in the wilderness, then a shelter, and now live with my husband and I in a loving Christian home. Their purpose is twofold: to teach the word of God in their books and provide a platform by which they can give to children and animals in need with the Pooks, Boots and Jesus Paw It Forward Program. This is their way of “pawing” it forward. The Pooks, Boots, and Jesus team pray for all those who write to them. If your child or animal in need is selected Pooks and Boots may send money to their cause, or an autographed Pooks, Boots, and Jesus book or maybe both. You can reach out to them at their website: pooksbootsandjesus.com. They would love to hear from you! For ages 4 to 8 years old.